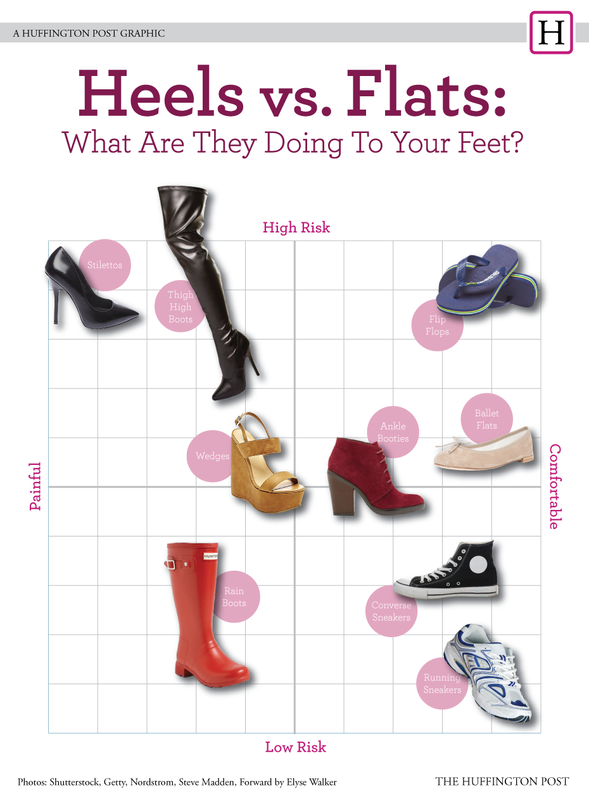 Many women understand the harm of wearing super high heels, tight shoes, and un-supportive flats. Although we wear them, we know and understand it's a risk and that at any moment you can step wrong and end up with a twisted ankle. While some women get the winter shoe wear warnings, many do not have a clue about the damage flat shoes are causing your feet. First, the problem starts with the word "open" what this means to a podiatrist is "danger". Open toe shoes will increase the likely hood of an injury to your feet. There is a reason people in factories, waitresses, and other industries are not able to wear sandals on the job. Of course many of these professions have a higher injury potential, anytime your feet-or any other area of your body is exposed there is a higher chance of injury. Next, flip flops in themselves are pretty terrible for your feet. The have little to no support and invite injuries such as stubbed or cut toes. We have seen many patients due to flip flops. We've seen women who have tripped, twisted their ankles, stubbed or cut their toes, dropped heavy or shaper objects on their feet and more. Although they're cute and festive they can be very dangerous. Wear sandals with caution. If you are going to be manning the BBQ it is highly recommended to wear a shoe that covers the whole foot, also cutting the grass- you can easily and in the matter of second lose a toe or two. Be sure to use caution this summer when exposing those toes. If you injure yourself get immediate help.